Sam, Jonah, Bennett, and Caleb are the Diaz boys! Aren't they adorable! Mom, Sarah, and dad, Neil, are busy parents with so much love to give. 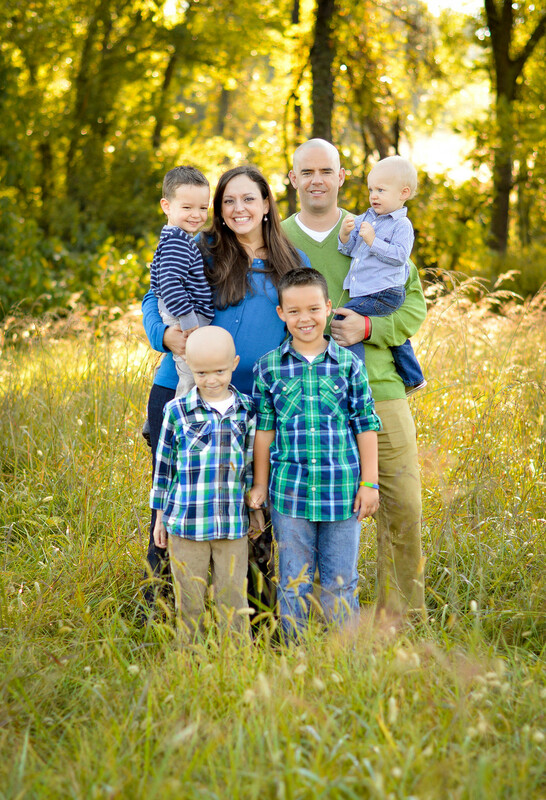 Their lives were forever changed in May of this year when Jonah was diagnosed with a medulloblastoma, a cancerous tumor in his brain. They have all been fighting it bravely ever since! As you can imagine, my heart went out to them and I knew I wanted to do something for this amazing family. We had such a wonderful time during our session...laughing, playing, and being superheros (which they all ARE)! I have so much admiration for the Diaz family. They have shown everyone around them how to handle the most difficult of situations with grace, dignity, and lots of laughter!